www.Teo-Education.Com » Transformation National 2050. KOTA KINABALU: The nation’s education will undergo massive changes by the year 2050 which will see it as the most significant system in determining the nation’s direction. Education director-general Datuk Dr. Amin Senin said the pattern of changes in education began before the colonization and post-independence that focused on local and Malaysian-based curriculum. Today, he said, the country aspires to develop competitive education system which calls for a huge leap in terms of policy, implementation and achievement assessment whereby a ‘glocal approach’ plays a crucial role. “Nation’s education towards TN50 focusing on world class quality needs to be comprehended in order for us to transform education delivery. “To ensure the success of second Malaysia Education Development Plan wave by the end of 2020, I urge for your roles to be expanded especially in rural schools. This, he said, was in line with the country’s vision National Transformation 2050 that maps and charts Malaysia towards a more inclusive direction. “In moving towards the National Transformation 2050, the timeline from 2016 to 2050 has been mapped. “In 2016, the TN50 vision was first announced. Next, Malaysia will become an advanced country with high income advanced economy. “In 2025, economic and trade value would be at RM2 trillion, followed by the Fourth Industrial Revolution which will start to bring significant impact in 2030. His speech was delivered by State Education Department director Datuk Maimunah Suhaibul during the Department’s 2017 Anugerah Perkhidmatan Cemerlang here yesterday. A total of 193 officers under the department and 15 staffers of Education Technology Division received recognitions for their outstanding achievements in their respective fields for the year 2017. In his speech, Amin underlined three major traits that must be possessed by educators namely Unquestional Integrity, High Level Competency and Humility. How do we deal with the unknowable future? 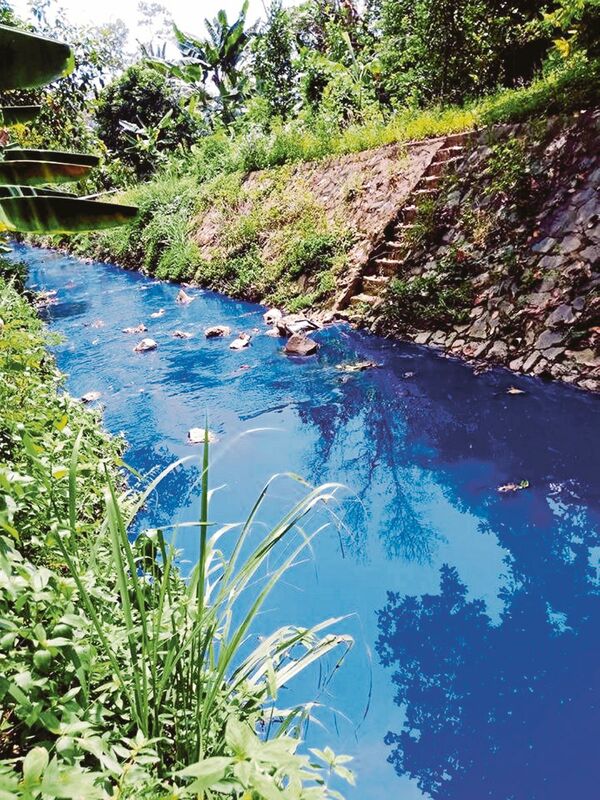 (File pix) Pollution from a factory in Senawang Light Industrial Park, Senawang, Negri Sembilan, turned Sungai Simin blue last month. Government policies can play an important role in protecting the environment. ON the last leg of our journey to attaining the status of an advanced nation that is inclusive and sustainable by 2020, Transformasi Nasional 2050 (TN50) necessitates a fundamental paradigm shift of our entire political, economic and social system. Some people may feel that since we don’t have a crystal ball, emphasising and embarking on such a futuristic and ambitious programme may end in abject failure. Nevertheless, I believe there is a considerable amount of consensus across the political spectrum to evaluate the key criteria of TN50. Given that the future is uncertain, it is natural for one to hope for the best while avoiding making sacrifices — it is difficult for people to give up the things that they value today for the sake of the future. Yet, it would be immature to expect significant change or transformation in the future without deep thinking or a paradigm shift. Furthermore, in the era of ageing populations and when the most pressing survival challenges cannot be solved in a single generation, the cultivation of a plan for the future has become essential for governments. A good government should be illuminated by the future because the future is not given, but co-created by our daily actions. For Malaysia, there are four crucial issues that must be sorted out before we talk about the future. FIRST, the rise of inequality is now at the forefront of a national debate; public discourse generally asserts that inequality has risen, or is persistent. However, the term “inequality” means different things to different people. We need to clarify the term because inequality exists in many spheres of life — we have unequal political, economic and social power. Are we concerned about the inequality of opportunities or the inequality of outcomes? Inequality among whom? Are we talking about eradicating poverty? Drawing lessons from the past and taking a fresh look through distributional eyes, it is crucial to ask what can be done now to reduce inequality. There has to be an appetite for action and any proposal should be translated into legislation and action. SECOND, the TN50 roadmap needs to prioritise environmental protection. We do not need to follow the same patterns of development that the developed countries adopted generations ago. Instead of spending billions of ringgit on unplanned growth, or having megacities with megamalls, we need to develop liveable communities with more green public spaces. People should be educated on environmental issues and how serious they are. Government policies and regulations can play an important role in restoring and protecting the environment. THIRD, one of the many diverse and fascinating challenges we face is how to understand and shape the new technology revolution, which entails nothing less than the transformation of everything at all levels. Economists are predicting that by 2050, virtually all industries, from banking to manufacturing, will be integrating digitised automation and robotics. According to the Malaysia Productivity Corporation report, small- and medium-sized enterprises (SMEs) account for the majority of business establishments (97.3 per cent), and information and communication technology adoption by SMEs is a mere 10 per cent. This is in stark contrast to developed countries where the adoption rate is 50 per cent. Professor Klaus Schwab, founder and executive chairman of the World Economic Forum, describes how technology and society coexist, and makes the case that we are in the midst of a fourth and distinct revolution that is changing the way we live, work and relate to one another. Awareness and shared understanding are critical if we are to shape a collective future that reflects common objectives and values. In the coming decades, the technologies driving the fourth industrial revolution will fundamentally transform the entire structure of the economy, our politics and social system. LAST, but not least, our education system should undergo a paradigm shift in the teaching and learning process to prepare the younger generation for 2050. The world is changing at a rapid pace, hence, our education system must transform too. What and how we teach our children today will determine the values, beliefs and attitudes, as well as the skills of tomorrow’s citizens. It is time to rethink the goal of education. If we are to develop healthy social processes and create a future that we want, we need to reform our education system and not shy away from addressing the challenges and limitations of our education system and institutions. By DR ABDUL WAHED JALAL NORI. 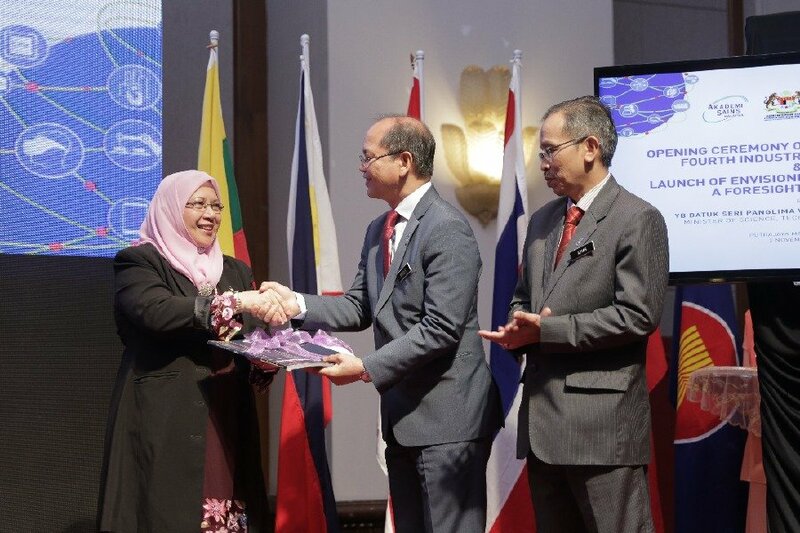 Professor Datuk Dr Asma Ismail FASc presenting the Foresight Narrative to YB Datuk Seri Panglima Wilfred Madius Tangau, Minister of Science, Technology and Innovation accompanied by Datuk Seri Dr Mohd Azhar bin Haji Yahaya, the Secretary General of MOSTI. The Academy of Sciences Malaysia (ASM) embarked on the Envisioning Malaysia in 2050 Foresight initiative in 2015. The aim of this flagship study is to look at the big picture of the future we desire and share insights and expert knowledge towards building a strategic vision for Malaysia towards 2050. In sharing this study with ASEAN partners, we hope that it would pave the path for a foresight initiative for the ASEAN region. The foresight initiative by ASM, brought together nine national Think Tanks and institutions to form a Foresight Alliance to carry out the study. This was done to adopt an integrated and interdisciplinary approach to the study. The study involved consultation sessions with participation of international and local experts and stakeholders representing the quadruple helix. The world is changing rapidly given the challenges of the 21st century like global economic crisis and the disruptive technologies. The 4th Industrial Revolution speaks of a new era of the fusion of the cyber, physical and biological worlds. It fundamentally changes the way we live, work and relate to one another. In the 4th IR, the only certainty is UNCERTAINTY. Looking at the global front, mega trends such as rapid urbanisation and demographic shifts serve as game changers that would have far-reaching impacts on individuals, society, industries, and nations. At the same time, the world is facing unparalleled risks that need to be mitigated and complex challenges that need to be tackled effectively. These include extreme weather events and data fraud that are among the top global risks in terms of likelihood as identified by The World Economic Forum’s Global Risks Perception Survey 2016. According to the United Nations (UN), the world’s population is expected to grow to 9.7 billion in 2050. A growing world population and increasing economic development will cause a sharp rise in global demand for water, food and energy, placing further pressure on the natural environment. Severe water stress is expected due to a projected 55% increase in water demand. By 2050, it is estimated that 60% more food will be required to feed the world. Almost 70% of the global population is expected to be living in urban areas with nearly 90% of the increase concentrated in Asia and Africa. Given the rapid urbanisation rate, sustainable development challenges will be increasingly intense in cities, particularly in the lower-middle-income countries where the pace of urbanization is fastest. According to the UN, the global ageing population i.e. those above 60 years old by 2050 would be around 21%. By 2050, it is projected that the number of older persons in the world will exceed the number of young for the first time in history. This also means the number of students in universities towards 2050 will be getting fewer. As we study the 2050 visions done by other nations, there seems to be common themes that surface and those are sustainability and the importance of science, technology and innovation (STI). National initiatives such as the National Economic Policy, Vision 2020 and National Transformation Programme, have all been introduced and a positive socio-economic transformation has come about with better quality of life. To date, Malaysia has targeted around 225 policy outcomes from 51 active National policies that have a timeline up to 2035. This shows that we do not lack in policy framework but desired impacts and outcomes can only be derived from good implementation. As a nation, we are committed to becoming a developed nation by year 2020. Internationally, we have pledged to support the 2030 Agenda for sustainable development. Through the Conference of Parties (COP) 21 agreement, we are committed to reducing Greenhouse Gases (GHG) emission intensity (per unit of GDP) to 45% by 2030, relative to emissions intensity in 2005. We have also rolled out our national transformation initiative towards 2050 known as TN50, with the aspiration to be amongst the top 20 countries in the world in economy, happiness as well as creativity & innovation. It seems to be a tall order but it is not impossible to achieve. ASM has proposed a vision of a Progressive Malaysia 2050. The prehistoric features of our cultural, civilisational and technological evolution speak of how knowledge was shared and applied through collaboration. Dr David Wood, one of the panellists for the ASEAN 2050 Forum, mentioned that the future is about collaboration and that a collaborative economy is our future. Our forefathers have been practising collaboration and collaborative economy for a long time. They may not have had the internet, but they communicated and shared information and best practices. They displayed trust and trustworthiness. To collaborate is the indigenous instinct and knowledge of our ASEAN forefathers that we can draw upon to do our foresight. In our quest to describe the proposed vision, we studied 3 landmark documents that were written in different eras by different great minds. As we studied the Rukun Negara, Vision 2020 and TN50 we found one consistent word that reflected the forward thinking spirit of the Nation. And that word is PROGRESSIVE. As such, the proposed 2050 vision for Malaysia is encapsulated as a Progressive Malaysia 2050 that is harmonious, prosperous and sustainable. 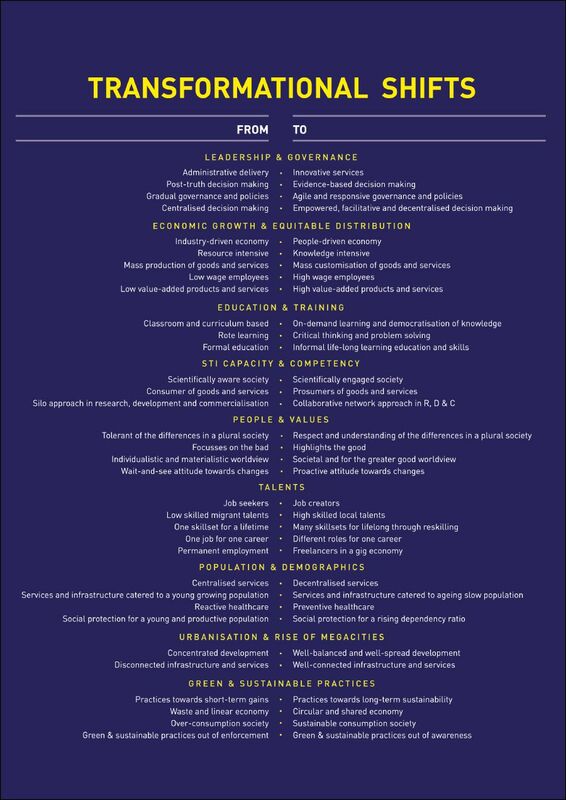 While the attributes of Progressive Malaysia 2050 are well aligned with the aspirations of the TN50 initiative, the keywords used are more relevant to societal well-being compared to the economic sense. - Harmony instead of happiness index. Peace and harmony is more relevant to Malaysia’s multi-cultural, multi- ethnic and multi-religious society. - Prosperity instead of economic growth to reflect inclusivity for all strata of society. - Sustainability as the end game and that creativity and innovation should be used to enhance sustainability so as to leave a legacy for future generations. Nine key drivers were identified for a Progressive Malaysia 2050. The evolution and interplay of these drivers will significantly influence our journey. Four possible scenarios have been identified for Malaysia in 2050. In addressing future scenarios, Leadership and Governance along with Economic Growth and Equitable Distribution were identified as the two most dominant drivers of change that are critical in charting Malaysia’s journey towards 2050. Which scenario Malaysia would find itself in 2050 would be determined by how well we prepare ourselves today. Of course, we all desire to be in the preferred future (Synergised in Harmony) in 2050 and this would be dependent on all Malaysians forging it. As an Academy of Science we highlight the need to leverage STI towards a Progressive Malaysia 2050 bearing in mind the societal well-being aspect. The Emerging Science, Engineering and Technology (ESET) studied five technology areas, which are Biotechnology, Digital Technology, Green Technology, Nanotechnology and Neurotechnology. The first output of the ESET study is Malaysia’s Emerging Technology Timeline towards 2050 that showcases 95 emerging technologies and their interlinkages based on Malaysia’s strengths and needs. 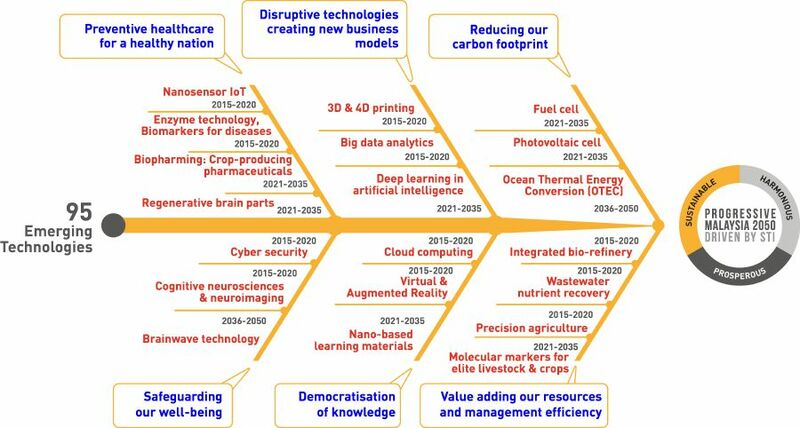 The second output is a technology tree that comprises of 21 Impactful Emerging Technologies to Elevate Malaysia’s Well-Being, Wealth Creation and Governance. 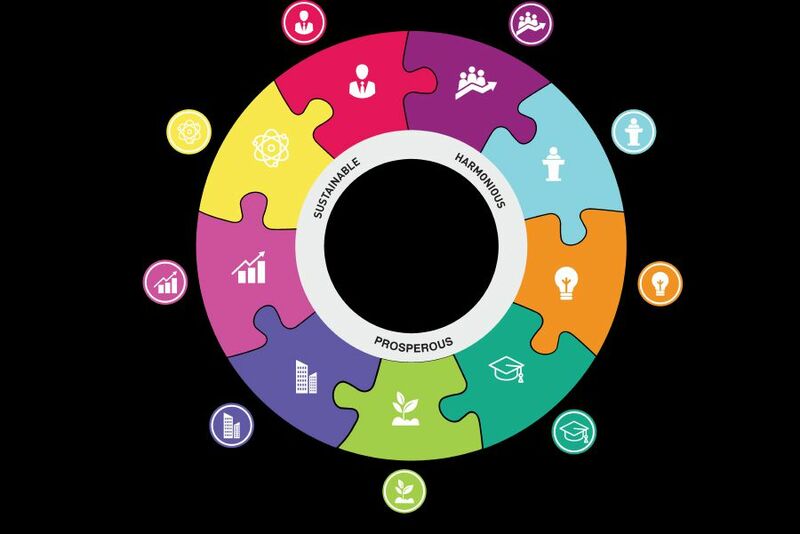 The key output of the Foresight study is the ‘Trends and Attributes Map’. Moving inwards is a journey forward in time. We trace the lines according to the nine key drivers of change and bear witness to their evolution and interplay. Serving its purpose as a navigational chart, the map allows us to explore our possible futures and offers us insight into plausible timescales of significant milestones. By being aware of such information, it can assist us in leveraging future opportunities and mitigating possible risks. We need to undergo a mindset change and this can be done via transformational shifts for the 9 drivers. It is imperative, to redefine our landscape based on a balance between humanity and technology. Transformational shifts must be rooted in Malaysian values and heritage. The vision of Progressive Malaysia 2050 must be driven by the people who are ultimately the custodians of the Nation’s harmony, prosperity and sustainability. MALAYSIA is a country blessed with beautiful nature. 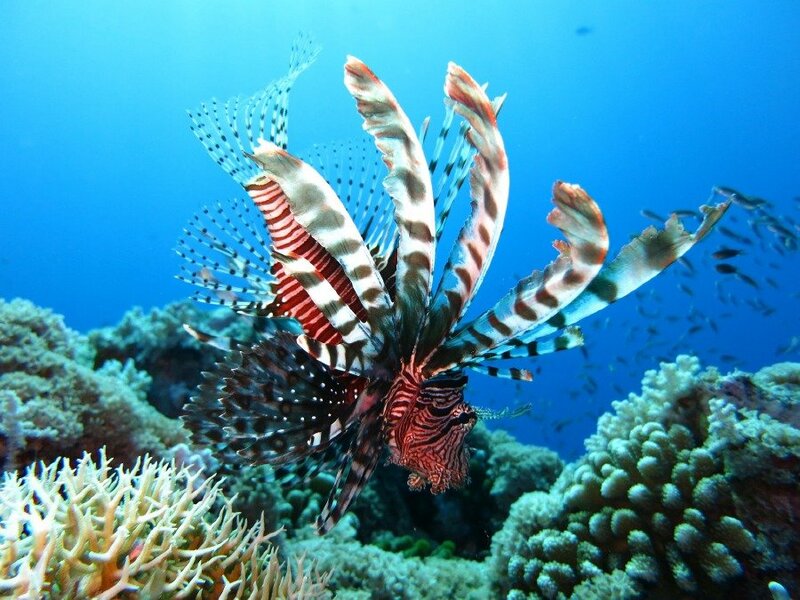 Situated in global terrestrial and marine biodiversity “hotspots”, it hosts the world’s oldest rainforests that teemwith unique flora and fauna, and seas rich in marine species large and small. That said, Malaysia is also a rapidly developing country bent on reaching developed country status within the next few years. That ambition has, to a large extent, come at the cost of her natural environment, at the ecosystem and biodiversity levels. A progressive and developed nation is one that understands and appreciates the value of nature and the services it provides to support our living, thus, invests in safeguarding it for generations to come. Why should we care, when usually topics such as economics, infrastructure, healthcare and education are the ones closest to our hearts? Well, our seafood stocks are depleting, water catchment areas losing out to logging, we have already lost wildlife species and are on the brink of losing more — strange weather anomalies are becoming the norm, natural water sources are drying up resulting in massive shortages, and the impacts of pollution are becoming more prominent. This certainly does not sound convincing for a developed nation. This is not a matter of tree hugging, and this is where I am glad that the environment is one of the topics being given “air time” in the Transformasi Nasional 2050 (TN50) initiative. 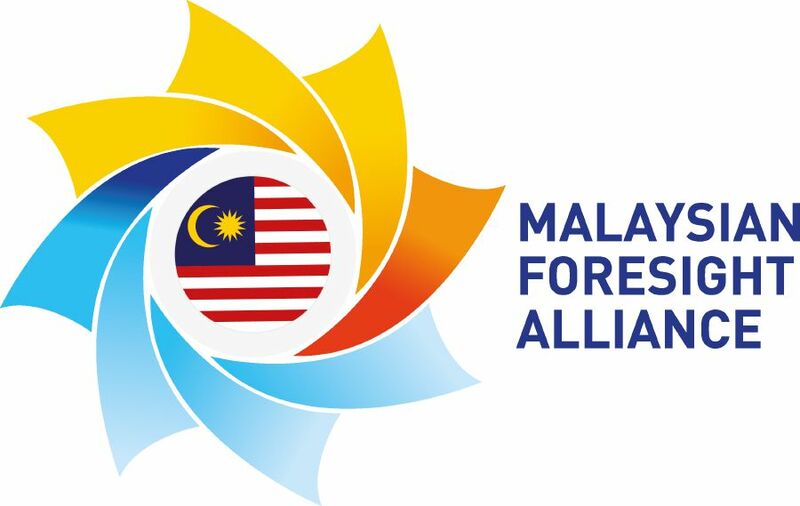 To that end, I am honoured by the opportunity to lend my voice to chart our course for safeguarding Malaysia’s environment — for food, for ecosystem services, for recreation, for climate regulation, and, ultimately, our survival. As someone living a childhood dream and one who has carved a successful national and international career in marine science and conservation (a rather atypical career in Malaysia), I hope that my story empowers many passionate young girls and women out there to believe that this “rugged” career isn’t just for the boys. They, too, could be out there in the field, spending hours exposed to the elements while collecting important data on the environment or reaching out to communities, and then be a voice for the cause they are championing, and that their voice shall be heard. This is my aspiration for young female Malaysians — in the coming 30 years, you have a rightful place in science, in policy advocacy, in being the crafts(wo)men of your future and that of your country. I come from a lineage of strong and resilient women, and I believe many Malaysians of my generation do, too. Perhaps, most of our mothers and grandmothers while strong in essence, having emerged from many hardships, did not have the opportunity to be the shapers of our country’s trajectory. It was just not the fashion of their day. by DR LOUISA S. PONNAMPALAM. 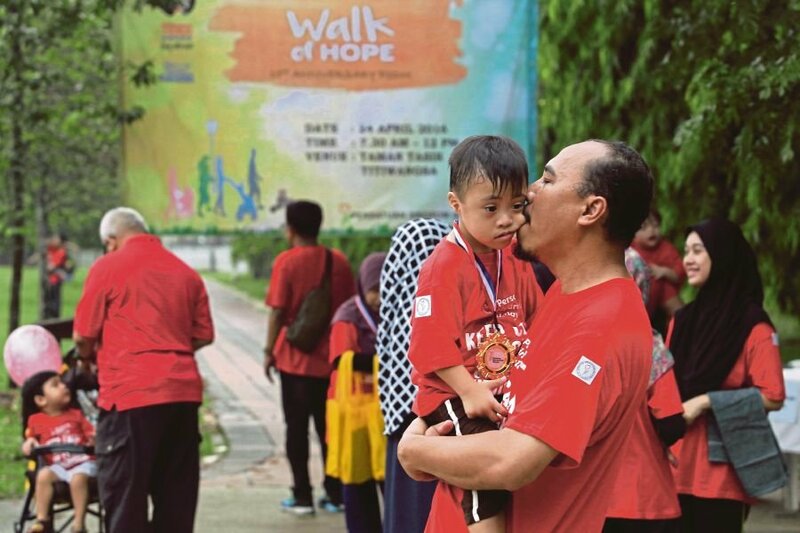 (File pix) A father and son who had just completed the Walk of Hope in Taman Tasik Titiwangsa organised by the Down Syndrome Association of Malaysia. Every child should be viewed as someone who is brimming with talent and unique skills that are waiting to be tapped into. IN light of the discussions on the 2050 National Transformation (TN50), I was caught off guard when a friend asked me what I had envisioned for Malaysia by 2050. What a loaded question, I thought. I vetted through every platform on the Internet to see what other people’s visions for Malaysia by 2050 were. One lady was keen on seeing Malaysia establish a strong reading culture, while one gentleman said he wanted Malaysians to sustain, if not further strengthen, the bonds we have with each other despite our differences. My voice certainly isn’t representative of the entire Malaysian youth, this I know, but one thing remains undisputable: every young Malaysian wants a bright future for themselves and their country. 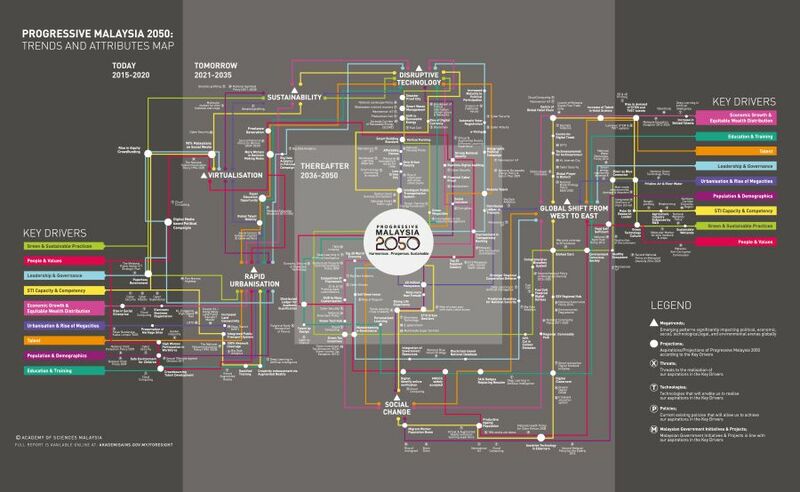 So, what do I want for Malaysia by 2050? I want a Malaysia where students with learning disabilities or mental illness can receive the support they need from their schools so that their academic progress is not hindered. Although I acknowledge that students with physical disabilities face their fair share of challenges, too, physical impairments often require far less explanations to comprehend, whereas a condition that is not visible to the eye makes it more difficult to understand and empathise with. Furthermore, a disorder that affects a student’s cognitive abilities is going to make it more challenging for the individual to learn and retain information. The reason I feel so strongly about this is because I know far too many young people who are struggling to reach their full potential because they are treated as “second-class” students in school. It is not their fault that they have a condition that makes it tough for them to make progress. One of my Instagram followers told me that her younger sister, who suffers from an anxiety disorder, had to change schools thrice during the span of her secondary education. In the end, she ended up being homeschooled after all her teachers from the schools she attended failed to give her the help and empathy she needed despite being personally informed by her psychiatrist, the kind of attention she required. Students with any disability should not be regarded as a burden to teachers. On the contrary, they should be viewed like any other student who is brimming with talent and unique skills that are waiting to be tapped into. Students are not factory-made; they are individuals with their own strengths and weaknesses. Just because a student doesn’t fit the mould for academic excellence, it does not mean they cannot excel like their peers. If it takes them a longer time, then so be it. Let’s not undercut their potential just because they do not work within a typical timeframe. I truly hope that by 2050, it will be made mandatory for teachers to be well-equipped with the knowledge and facilities to teach students with disabilities so that their parents won’t have to scour the earth to find a private learning institution for their child, which is often expensive and inaccessible. Students with any kind of condition that prevents them from learning at a regular pace, not only need different learning approaches, they also need the positive reinforcement other students receive. Far too often, teachers either lack empathy and it is this negative attitude that makes a student believe they are of no value and causes them to perform badly. Psychologists call this “self-fulfilling prophecy”. Every student is an asset to society, even if they do require extra assistance to get through school. If we were to utilise all our resources to strengthen and empower them, not only are we securing their futures, we are also including them in the race to bring our country forward. Ignoring or undermining students with physical or mental disabilities only serves to create more complications in the future and exclude a group of people with so much potential and talent. Their unique experience could even serve as a shining example to people with the same conditions, that they, too, can achieve anything. 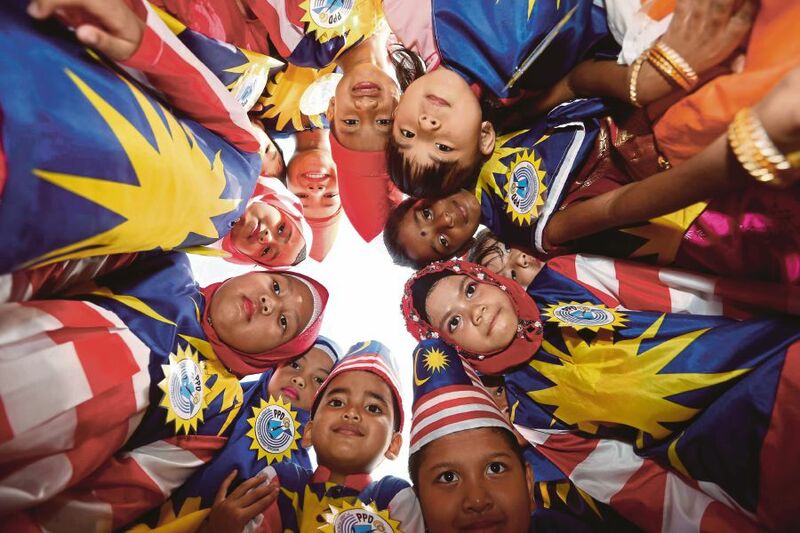 Children celebrating National Day in Tangkak, Johor, last year. Vision with action can change the nation for the better. “WHERE there is no vision, there is no hope,” so said George Washington Carver, an American botanist and inventor. What has given us hope as a nation is Vision 2020. That vision, promulgated in 1991, envisages Malaysia to be a developed nation; not just economically, but also politically, socially, spiritually, psychologically and culturally by 2020. We should also become fully united and socially cohesive. We should be anchored in social justice, social and spiritual values, and we should enjoy a quality of life that augurs well for national pride and confidence. While the Vision has remained intact over the past 27 years, it has gone through some quantification. For example, today our yardstick to measure our developed status is a per capita income of US$12,475 (RM54,153). We have roughly three more years to go and have some catching up to do on the other dimensions as well. In a company context, Jim Collins and Jerry Porras argue in their 1996 book, Built to Last: Successful Habits of Visionary Companies, that any true vision probably has only a 60-70 per cent chance of success. This is because, apart from challenging a company to move where it has set out to go, the vision serves other purposes as well. It gives meaning to employees’ toil and galvanises them into achieving the dream. Extending Collins and Porras’s analysis to the national context, a vision offers citizens a point of rally, hope of a better future and an exhortation to take charge of their destiny. Following this logic, visions should necessarily be larger than life. What do we do when we achieve or do not achieve our vision? We go and set another. It is in this spirit that the government has kick-started discussions across society on the content of a new vision — the National Transformation 2050 or TN50. That announcement has generated much expectation. The preparatory efforts are well-trailed. Najib, too, has offered his view as to what TN50 should contain. He wants Malaysia to be among the top 20 countries globally by 2050. In formulating TN50, we should not be too fixated on our strengths and challenges as a nation. Fixing a vision far into the future is an exercise that goes beyond consideration of our current capabilities and environment. However, that does not mean that TN50 should be a fantasy. Take then former United States president John F. Kennedy’s decision in May 1961 to send an American to the moon by the end of the decade. He was challenged to set this goal after Yuri Gagarin’s successful orbit of the Earth a month before. Then, the US was embarrassingly far behind the Russians in space technology. Kennedy knew that to put a man on the moon would be “a very challenging technological feat”. Yet, he had the audacity to envision so despite the current capabilities of the US space technology. The rest is history. TN50 should incorporate the noble aspirations of Vision 2020, making adjustments, of course, to suit the envisaged future. This is because those worthy goals have resonated so well among all segments of society. The transformation envisaged should not just be of the economy. It should also be of the mind and spirit of every Malaysian. The values encapsulated in our Rukun Negara should form the foundation of TN50. TN50 should fortify our belief that whatever the colour of our skin and faith, we share a common destiny. We are all in this together — building a beautiful nation for posterity; a society that is tolerant and respectful of one another. by Datuk Dr. John Antony Xavier. You are currently browsing the archives for the Transformation National 2050. category.